Billable hours are the lifeblood of many agencies, and the bane of every agency employee’s existence. For agencies, profitability is based on how much time they can bill out to clients every month, which requires staff to accurately track and record time spent working on client projects. Accurate time tracking also gives agency owners and managers insight into the efficiency and profitability of projects, services and staff. For agency account managers, support staff and creatives, billable hours mandate keeping those dreaded timesheets up-to-date, which—despite the best of intensions—are consistently put off until the end of the day, week and sometimes even month. The result is time wasted checking sent emails, old to-do lists and calendar appointments for reminders of what you did during the workdays in question. It is a task made all the more cumbersome when time is recorded on paper or in Excel, and then transferred to a central document or system for invoicing. At WorkflowMax, we understand the fundamental need for, and colossal pain of, time tracking. This is why we’ve made it a core component of WorkflowMax’s agency management system, and offer six flexible time entry options for users. Intended For: Those agency employees diligent in their time tracking efforts, and who like to avoid guesstimating hours spent after the fact. Where to Find: Click the stopwatch icon in the upper right-hand corner of your WorkflowMax account screen. How to Use: Select your Job and Task from the dropdowns, and click “Start Timer.” When done working on the project, click “pause” or “stop timer” to stop and save the time tracked. Intended For: Agency staffers who forget to enter time while working on a project, or prefer to complete time sheets at the end of the day. 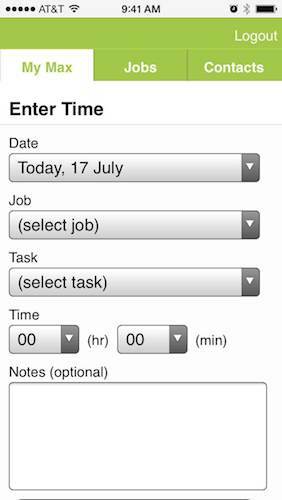 How to Use: Simply select a date, Job, and Task, and then enter the total time duration. Intended For: Agency employees who put off filling out timesheets until Friday afternoon, or realize at the end of the week they forgot to record time for a day or project. How to Use: Either select a Job and Task from the drop down, and then enter in your time for a specific day when it appears in the Job/Task list below, or find a Job and Task in the Job/Task list, and update your time for a day of the week. Use the left-hand column calendar to jump from week to week. Intended For: Those agency employees working in different applications who don’t want to log into WorkflowMax to enter their time. Where to Find: Depends on the widget and application. How to Use: Again this will depend on the widget and application. Stopwatch—Isaac Kearse—This time tracking widget lives in your status bar, and gives you the ability to track time against clients, jobs and projects, even while offline. The time recorded is written to disk in an xml format, which is posted to the server the next time you're connected. Time Tracker—End Game—Time Tracker from End Game is a timesheeting software in a nifty drag-and-drop calendar format. You can use it to reconcile timesheets against WorkflowMax, share timesheet data with other managers, and set up regular entries as favorites or drag-and-copy entries. Actual—Actual is robust tool that was built so you could track time and access jobs without having to login to WFM every day. You can see your jobs, tasks and timesheets in a single glance. When you return to an idle computer, you'll be prompted to carry on timing or subtract the time from the timer. Edit date, time and notes before posting your time to WorkflowMax, so you've got complete control. Eon—A beautiful, multi-featured time-tracking app that integrates with WorkflowMax, as well as a range of other services. Eon will notice when you've been away from your desk, will allow you to switch between multiple projects, and basically any other function you could possibly wish for while tracking time, short of making your coffee or massaging your feet. Adobe Creative Cloud—For those regularly working in Adobe’s Creative Cloud (e.g. InDesign, Photoshop CS6 or Illustrator), this widget enables you to key time sheet entries directly into WorkflowMax without ever leaving the application. Intended For: Agency professionals on the go, or without Wi-Fi access. 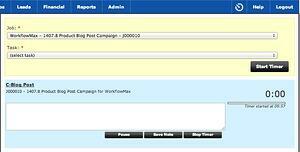 Where to Find: Log into your account via m.workflowmax.com, and click “Enter Time” under the “My Max” tab. Intended For: Those Xero users who do not want to leave their work screen to enter time against a specific client, job and task. 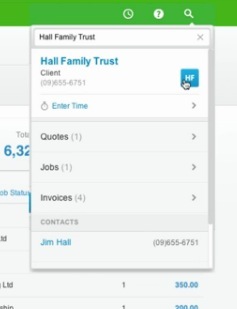 Where to Find: Search for and select a client, and then click the “Enter Time” link. 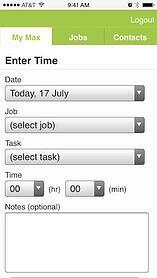 How to Use: In the “Enter Time” section, select the Job and Task to bill time against, and then add the time duration. With WorkflowMax, time entered via one of the above options is then available for report generation and feeds directly into invoices for fast, accurate monthly billing. Streamline all agency management activities with fully integrated time tracking. What are your biggest frustrations with tracking billable time?